Moderate-to vigorous-intensity physical activity has an established preventive role in cardiovascular disease, type 2 diabetes, obesity, and some cancers. However, recent epidemiologic evidence suggests that sitting time has deleterious cardiovascular and metabolic effects that are independent of whether adults meet physical activity guidelines. Evidence from “inactivity physiology” laboratory studies has identified unique mechanisms that are distinct from the biologic bases of exercising. Opportunities for sedentary behaviors are ubiquitous and are likely to increase with further innovations in technologies. 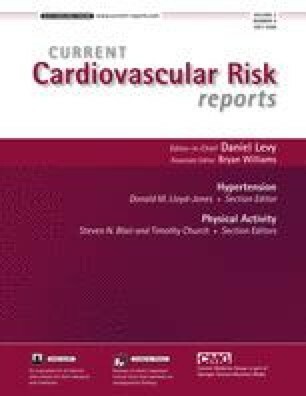 We present a compelling selection of emerging evidence on the deleterious effects of sedentary behavior, as it is underpinned by the unique physiology of inactivity. It is time to consider excessive sitting a serious health hazard, with the potential for ultimately giving consideration to the inclusion of too much sitting (or too few breaks from sitting) in physical activity and health guidelines.